2016 is one of my best years ever! I am so blessed in all aspects all year round, winning online contests left and right and getting what I have always dreamed of in unexpected ways outweighing all the bad vibes and stress all around. And for this I decided to share the overwhelming blessings in a form of a Giveaway. I recently hosted a giveaway event thru my blog’s Facebook page Pinkyreg. I have joined almost every kind of Facebook/Instagram/Twitter/blogging contest and for a change I’m the one to raffle away something instead. What items to give away? When the idea came into me the first person that popped in my mind was Song Joongki. Who doesn’t love Captain Yoo aka Bigboss? And he is the person who inspired me the most and the korean heartthrob everyone, of all ages) wished for (Read here for my last year’s favorite blogpost: Top 10 Captain Yoo Si Jin Personas We Fell In Love With). My Giveaway event ended last January 6 that ran for about two weeks starting Dec 28. I have announced my two lucky winners on the evening of Jan 12. It was really hard to pick the winners since most of them are my friends, coupled by the excitement that I am now the one doing this thing for the first time ever. So instead of just raffling off the Joongki items I ultimately choose the ones with the best answer on why they should win. Congratulations again to my first ever Giveaway event winners: Christine Dyan Belga (Sparkling Magazine) and Rochelle Bertulfo (Jeju Air Song Joongki gift set). You both deserve it. It all started with Christian Bautista as I followed every mall show he is in, how I tagged him as my forever ideal man and how I wished him to be my boyfriend (literally wished) until I am lured to the gorgeous men of South Korea’s K-pop and K-drama world. And it has been three years. So what really has changed in me after I learned how to dress up like a korean and put on those “cat eyeliner” on my peepers and buy almost everything in my “kikay kit” from Etude House, The Faceshop, Nature Republic and Tony Moly aside from making me look young as ever? How to balance my day job and following my heart. Its tough but I love how did I managed to do it, I learned how to work and play and not just work and palpitate in stress like I used to. And yes its possible. Before my friends were confined to just family, relatives school mates and officemates, but now I have teenagers, singles and even mommies already who shared the same love for everything Korean as well as writers and bloggers. Even met friends from attending Korean-related events that have been good friends along the way. Believe me I’m a snob before but now I sometimes meet persons who know me but I just don’t know where I met them but still I’m all smiles when they smile at me at events ahahha. Discovered my passion for writing, what I really wanted to do when I retire or go out of the corporate world. Became the ambassador not just of everything korean but spreading of Goodvibes too. Discovered that I have this unending luck on raffles, online and blogging contests. From Kim Hyun Joong Autograph signing passes here in Manila, to Christian Bautista premiere night movie passes, to Lee Min Ho concert tickets, to Samsung Note II phone to CNBlue presscon passes to free Yoga vouchers name it, I have won them since 2011 and counting. And before that I never won in a raffle not even a single consolation price. There must be someone who blew me some lucky charms to have all of these ahhaha. Whatever is the explanation to these blessings I am just so thankful. Though my ever wish is to win a Free trip to Korea ahhaha, I know that will happen in the right time. Lol! If it’s yours it will be given. Life is not all easy for me in the last 3 years. I almost gave up my korea trip last 2013 that I have been waiting for since 2010 due to unforseen reasons but it still happened, with matching 3-Year multiple entry korean visa and our sched coinciding Kim Jaejoong’s first Album Asia Tour Solo concert and a bonus stint of being an official social media ambassador of korea tourism as a WOW Korea Supporter of Korea Tourism Organization Manila. All of these happened in a single time not even wishing all of them to happen. Learned that life is not all about work and money. 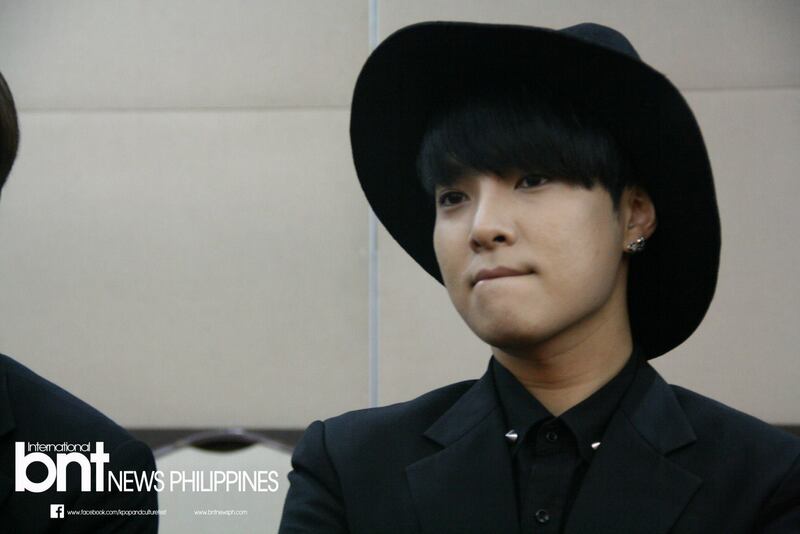 K-pop events can be a gateway to a blogging world career. And maybe to lovelife too. A “Blessing in disguise” is a reality. And this happened to me a lot of times in and outside the korean world. I won’t elaborate more but believe me everything happens for a reason, and yes I learned that in the course of fangirling. When you dream and pray it can happen, and it always comes in a grand and unexpected manner. I remember that dream to see CNBlue in their press con for Cant Stop in Manila and would you believe that after crying that i didn’t win that presscon passes and that my writing powers is not enough to get me a media pass some kind of a miracle sent me that email invite that im in all of a sudden . Woahh! A lot of things have been given to me from being a simple korean drama fan to becoming an official ambassador of everything korean in the social media world that I just love doing. And all i wanted is to write and inspire. Life is ironic. The best things in my life happened in the last 3 years as I discover these things through the term “K-FanGirling”. So guys follow your heart! Aja! and you are mistaken as 22 while you are already…hmm 25 up hahaha! Like when you win a Samsung Note II phone from a Korean salon blogging contest, amazing! And it’s a double goodvibes treat that a K-pop concert is held on the very date of your Seoul trip that you booked a year ago. or when he hugged you not on your birthday but on his birthday. Now guys, write and count your own just to keep Positive Goodvibes On! I cant help but look for the powerpoint slides in my old school files and glad to be able to find it. As I read it I felt some goosebumps inside me…its amazing how I have poured those inspirational slides while I was nerdy juggling graduate school and working in the stressful banking industry back then. Well I guess I really have the calling on writing inspirational stuff. Here are some words of wisdom from The Little Prince itself as taken from my MBA powerpoint presentation files with my own little thoughts from my grown up experiences. A pilot forced to land in The Sahara meets a little prince who tells wise and enchanting stories of his own planet with its 3 volcanoes and an arrogant flower. “It is the time you spent on your rose that makes your rose so important”. ~Live, laugh, love. Smell the flowers along the way. Its the ride that makes it worthwhile not the destination. In short live without regrets. “What makes the desert beautiful is that somewhere it hides a well”. ~Think of this whenever we grown-ups are experiencing the downside part of life. Its another version of When one door closes, another one bigger will open or There is a rainbow after the storm. 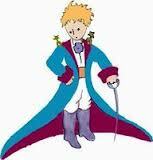 Take it from The Little Prince. Ouch reality bites right? I know all of us can relate at one point or another, so who are you in the characters, the king or the conceited man, or may be the tippler/drunkard. I personally think I’m the geographer while writing this back then. 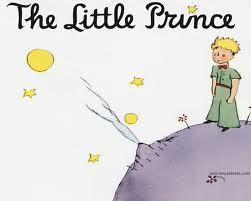 I know a lot of you wanted to to re-read the book all over again and relive The Little Prince in all of us. And as my article inspiration for this blog post said the movie is going to be released in France by October 2015 and I’m hoping it will have international release as well here in the Philippines. I have read or heard from somewhere that my sign is one of the luckiest this year of the Wooden Horse. In the past three years I’ve been winning raffles, Facebook and blogging contests left and right and so I really wonder how luckier could I be this 2014. Not until this month of July that I begin to believe that these astrology and predictions were true at least for me. I think (quoting Paulo Coelho) the whole universe conspired to make this happen for I had not one, not two but three back-to-back dream come trues all happening this fateful month of July. Dream Come True #1: Last year there’s this dream to write for an online k-pop news website as a sideline and at the same time hobby. I remembered applying for one or two websites but got no reply from either. I was thinking then that they don’t like my style or I’m not really qualified in the first place so I stopped waiting or applying to another. But one morning of April this year, I received a message thru Facebook from the head organizer of k-pop events I frequent. From his hints I know it’s about a big thing but didn’t spill the great news until early July. I have been offered to be a contributor for this newly opened BNT News Philippines, the Philippine franchise of the global news website INTERNATIONAL BNT NEWS or BNT News Korea (with official website: http://bntnews.hankyung.com/) specializing in Korean entertainment, beauty and fashion. It’s like O-emm-geee! How on earth did I qualify since the other two who have been offered were already like experts in the field. I can’t explain the butterflies in the stomach feeling. I think attending every k-pop event in town made all the difference, hahaha #KFEST. 🙂 I know I have a full time job and other blogging duties (I have article deadlines as of this moment) but this chance is rarely given and so I grabbed it. Super thankful, thanks Kuya JP for the trust. Kindly visit BNT News Philippines website at http://bntnewsph.com/ and like our Facebook page at this link, #Promote lol! Dream Come True #3: My friends in and outside of korean Ph world would know that when there is a korean star or k-pop group doing a concert in town surely I’m present to see them, hahaha. True, but those cases always entail long hours of waiting and haggardness just to take a glimpse on them and catch a precious wave and take a nice picture or video however blurred those can be. Oh I forget that its also a pain in my wallet! 😦 In almost 3 years of being an avid k-fangirl I can’t help but wish that someday I would cover a kpop concert or interview a Korean star. I know it’s such a crazy “suntok sa buwan” wish but wahhhh it happened this lucky month of July!!! Related to my second Dream Come true story above it was all thank you to BNT News Philippines and of course Kpop and Culture Fest events management. 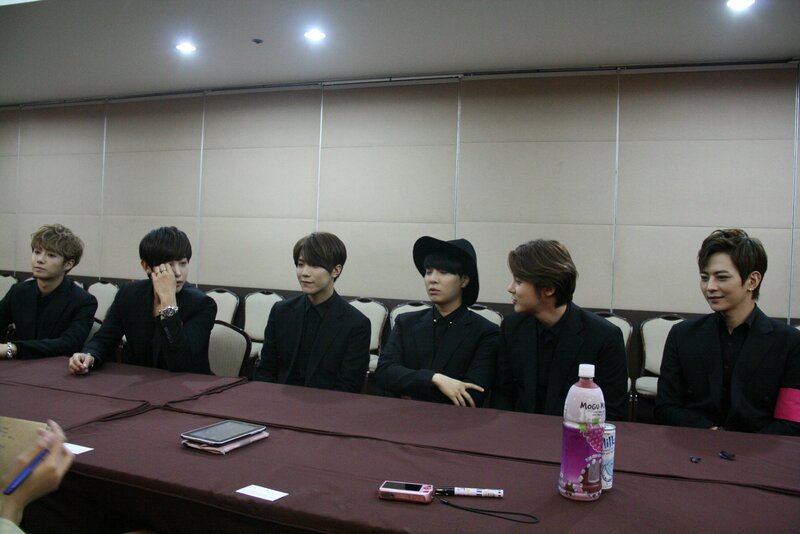 On the recently successfully held KFEST5 last July 20 at SM Megatrade Hall, SM Megamall I had a chance of a lifetime to sit with my fellow BNT News Philippines contributor face to face with the six talented and oh so good looking guys of rookie kpop group M.Pire for an exclusive interview!!! Yes you all read it right, an exclusive interview. I was not really expecting I will join the interview and to start the story we were pulled at the BNT News PH booth we are manning at the KFEST5 event when the boys were finally at SM Megamall in a conference room. We were not so prepared that its already a go signal except that my colleague has her set of guide questions already. We did some make-up retouch ups while waiting outside the conference room for them to get ready and at the same time discussing the game plan. She will be the main interviewer, I’m the official photog and tasked to do follow up questions. I’m usually not good at taking pictures while in front of handsome Korean stars but OMG, I did it while throwing follow up questions. I guess when it’s a call of responsibility you can forget how much you want to scream in kilig, hahaha! When I heard them talk and at the same time pose cutely or even in candid while I’m taking shots all those apprehensions died. Still when I’m at that moment it sometimes came to a point I think I’m floating. I can still recall one funny side story while we are waiting for our turn to interview one of them approached us asking if he can borrow a charger for iphone. That time we were not so sure who he is, later at the interview did we confirm he is Haru hahaha. 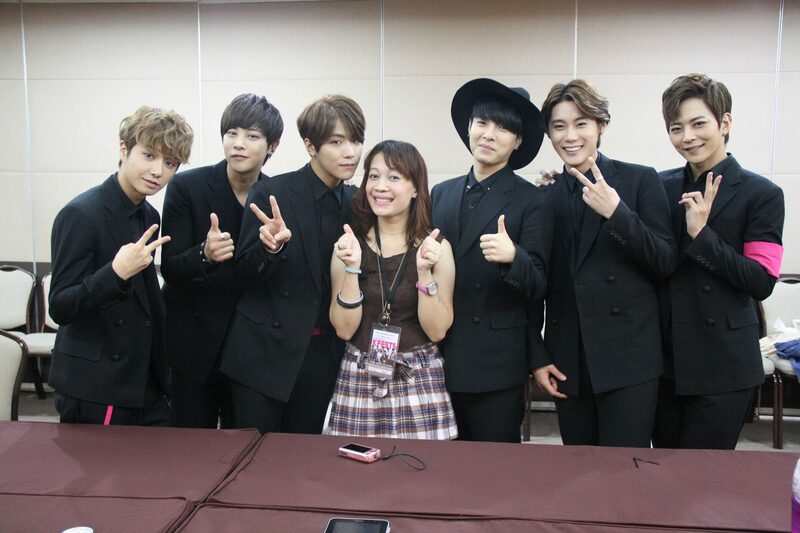 To top these experience of course I scored a group pic with the M.Pire boys and got to shake hands with my fav TaeHee leader and Yooseung, one of the cutest of them all while we are doing the interview. ❤ I wanted a selca with Lumin, the friend of Jaejoong but we are just so overtime with the interview hahaha, but still I’m thankful. I forgot that I may have missed the performance of my fav cosplayer as part of KFEST5 stage numbers in lieu of this rare dream come true but I know its all worth it (luckily I didn’t, Yey to that!). Here are the unforgettable group pic and some of those pics I took myself, Congrats Reg! 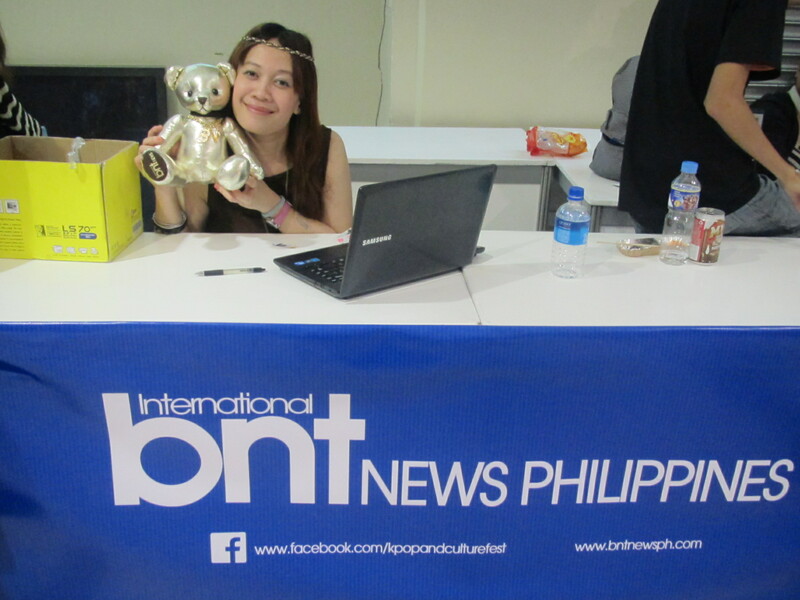 Hihihi, I’m really so proud of this achievement and all thanks to BNT News Philippines and kuya JP again! Next wish and I would really be thankful it this would be given, to be at the press conference of the upcoming CNBLUE Can’t Stop in Manila Concert! Wahh! Aja! 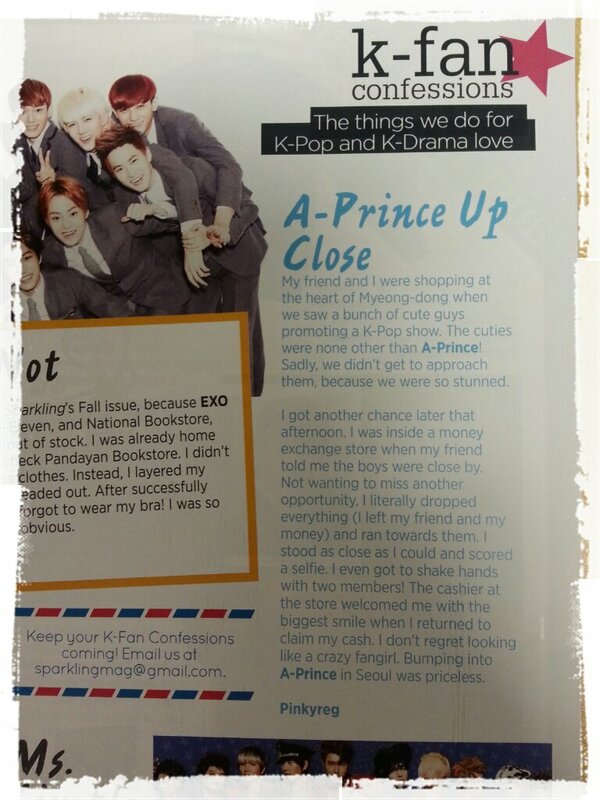 #FingersCrossed 🙂 Anyway read here for the exclusive interview article of BNT News Philippines with M.Pire. 26th of May 2013 – It’s only once each year that we celebrate our birthday, a day we can freely claim as “my day”. And what makes it even more special is that we have the right to be both a cry baby sentimental fool and cheesy happy at the same time on this day (you don’t have to explain yourself or be guilty, hahaha) hence this post. As I have posted in my status the day after my birthday, I’m practically smiling for 48 hours or so and that includes while asleep. I can’t hide the overflowing happiness in my heart and before it burst I drafted this post inside a Starbucks shop. On top of winning the Samsung Galaxy Note 2 grand prize from a Tony and Jackey blogging contest this is how everyone made me crazy happy on my _ _ th birthday. I know this is a very long intro na but I’m just preparing you guys, LOL! So here it is. Brace yourselves to the most childish or should I say #PBBTeens blog of pinkyreg and I do hope to also inspire you while laughing your heart out loud just like me. This post is also inspired by my daily morning energizer and laughtrip radio show – RX 93.1’s The Morning Rush Top 10. For some, things written here may be trivial, corny or super teenager-ish but I must say that, and I know still many of you can relate, “It’s the small things (surprisingly) that make us truly happy”. Thanks guys! Kamsahamnida – This is My Top 10 B-day Greets. 10. Handsome Korean faces with roses on my timeline. And also for sending me real flowers, LOL! I love flowers (though I think I’m developing allergies on them, wahhh!) and of course Koreans, hahaha you know me well friends. 9. Those who took time to write in Hangeul (Korean alphabet) or sing Saeng il Chukka hamnida (Happy birthday in Korean). 8. We miss you and See you soon” messages from my dear Starbucks Matalino baristas. Having my happy place closed on the very month of my birthday really brought me emo to the highest level. For a month or so now I don’t have a default chillax place after work, when I’m sad or wanted a great ambiance to write I feel so lost. Seeing their greets on my wall is an instant happy pill to my senses. They haven’t forgotten me as their “Ms. Reg” a true blue loyal customer. I can’t wait for the new store opening in the Korean district of Matalino St. This is one dear weakness of mine, a guy with a very good voice. So when I came across this koreanish looking guy with a very great voice (parang galing lang ng heaven) from a church I frequent it’s an instant magnet. While having my bday lunch with family I took a chance to access my FB at my mobile phone and what a surprise! Sa dinami ng friends nya eh binati pa ako, yes, ang haba ng hair sa mga celeb, barista and mukhang Korean. 🙂 Connect the dots, LOL! On this day as if all good vibes on earth poured down on me while it’s raining very hard at The Fort/Serendra area where me and my family were dining. It’s so true that when it rains it pours — Happy Aura in SM Aura 🙂 LOL! And as if there’s no tomorrow I received another surprise on the afternoon of the 27th. I won again in one of the Facebook online contest I joined, Waaaah! And to top it all the person on the top of my list striked once more in a so unexpected way yet again. Wahhh, Goodvibes extended overload! So I should just remember this day whenever I feel down or positivity seems to be absent or hiding his smile. Now I know that even for a day or two everything will feel perfect. And I think it’s just really true that when you always strive to be happy you will attract those positive vibes you needed. Small things or big celebrate life to the best that you can. Last night at around this same time I have received an unexpected thing that really made me feel “ang haba-haba ng hair ko, abot hanggang Seoul South Korea” hahaha. After posting my 2012 reflections that surprise came into me. Literally I don’t know what to do, nor what to say…Yes its a thing close to my heart that may seem childish for others but for me its a big thing. Just imagine a teenager girl with her cush inviting her to be his date in the prom, hahaha. Don’t think too much friends I wont reveal it here. It’s just that I still have a hangover last night. On a more deeper note that “kilig moment” is really one big inspiration. It happened barely three hours to go before 2012 bids goodbye for 2013. Just when I thought the big things and smiles of 2012 are done there goes that thing. Somehow I really wished for a thing close to it but I never imagined something better than what I wished for will happen. And now I believe this would carry on throughout 2013. If its really for you it will really be given. This new year’s eve surprise might be a simple thing but a lot of big things started from small. In this 2013 Year of Faith or Year of the Water Snake I know keeping a positive heart and mindset is our best lucky charm, not any color, stone or those astrological help . I’m still fleeting in the air from last night. Thank you Lord for all those inspirations I really needed, big thing or small. Have a Positive 2013 everyone!